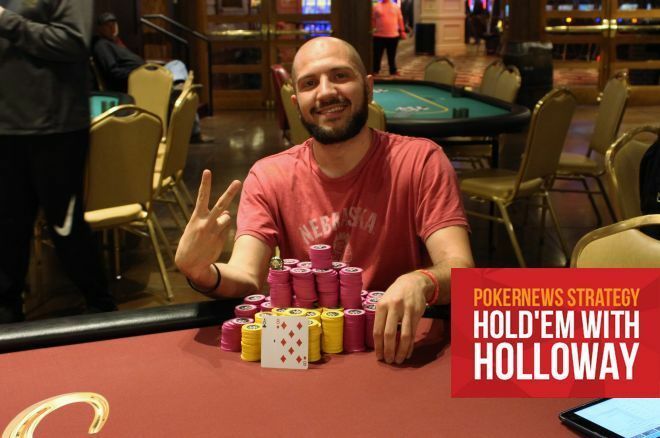 In Hold'em with Holloway, @monuwwarah talks big hands from his WSOPC @HorseshoeIowa gold ring win. In early 2013, I was not only assigned to cover the World Series of Poker Circuit Horseshoe Council Bluffs for PokerNews, I was also asked to train two new reporters prior to that summer's WSOP. One of them didn't make the cut. The other was Mo Nuwwarah, who has since built a nice career for himself in poker media. Not only that, he's also proven himself a skilled poker player as evidenced by his second World Series of Poker Circuit gold ring win this past weekend. 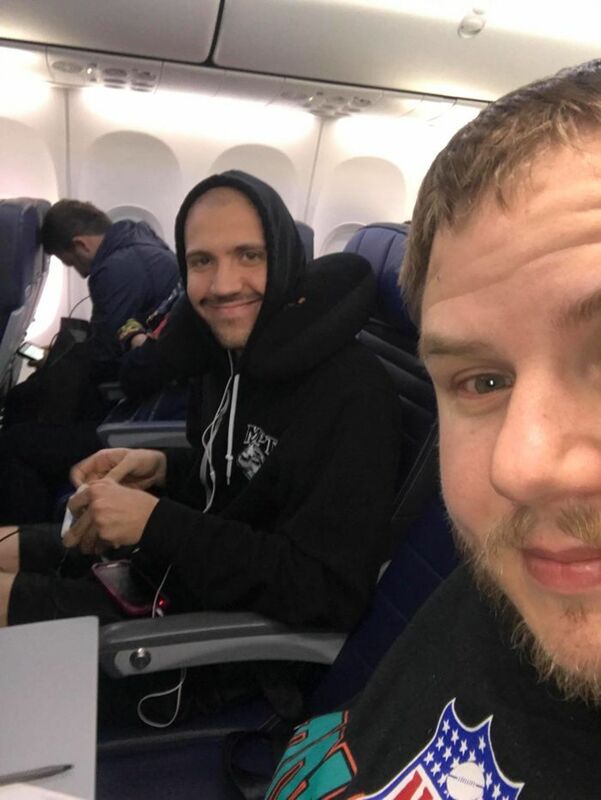 It happened at the same venue he trained at, which is his home casino, when he topped a 563-entry field to win Event #3: $400 NLH Multi-Flight for $39,006. The week prior, I actually played at the same table as Nuwwarah in the Mid-States Poker Tour Meskwaki Main Event. I watched him aggressively take control of the table and realized I had something to learn from my one-time trainee. He ultimately suffered a bad beat in that tournament to fall to a short stack, and I did the deed of collecting the rest while sending him to the registration desk to re-enter. Neither of us did anything in that MSPT tournament, but there he was a week later capturing WSOP gold. I sent a congratulatory text to my friend and colleague and asked if he had any interesting hands from his victory that he'd be willing to share in this week's column. He obliged. "I think this is a spot where many players don't get enough value." With five players remaining in the tournament, the player on the button (2.2 million) raised to 55,000 and Nuwwarah (4 million) looked down at in the small blind before three-betting to 160,000. They were the two big stacks by quite a margin, so there was an ICM confrontation shaping up. The button called and the flop came down . Nuwwarah bet 125,000, his opponent called, and the dealer burned and turned the . Nuwwarah slowed down with a check and his opponent checked behind. On the river, Nuwwarah bet 390,000 and the button called only to muck when Nuwwarah tabled his hand. Mo Nuwwarah and I playing OFC on a plane. "I think this is a spot where many players don't get enough value because they see the pair," Nuwwarah explains. "First of all, you have to keep in mind when there is an ICM situation like this. The player on the button is not calling your three-bet with that many hands that have a seven in them. If he has a weak ace he may check back fearing a check-raise, so you might get zero value if you have him outkicked." Nuwwarah also offers a different, even more aggressive option: "I actually think an even better play than what I did, especially with my image, would have been to bet something like 550,000. You seem more polarized than you are and they probably aren't laying an ace down for any price." Nuwwarah and I then briefly discussed flatting raises preflop instead of three-betting, something I do far too often. "I think many players have a belief they can outplay their opponents postflop, and while that may be true in some instances, this isn't the World Poker Tour where everyone has 60 big blinds," Nuwwarah points out. "At these stack depths it's a huge leak to be flatting too many hands." He has a point, as generally speaking mid-major events like those on the WSOP Circuit and the MSPT don't offer the same structure and stack depths as the majors. A lot of people either fail to recognize this or make proper adjustments. Clearly, Nuwwarah is not one of them. "I think this is a spot where I'm perceived to have less value than I actually have." In another WSOP Circuit Horseshoe Council Bluffs side event, Nuwwarah played another hand of note, or as he puts it: "I just played a fun one a little bit ago." In that hand, Nuwwarah watched a middle-position player, someone he perceived as relatively tight, open with a raise to 3,200. Nuwwarah held in late position and three-bet to 8,800. The rest of the players got out of the way before the original raiser called to see a two-spade flop. Both players checked and the appeared on the turn. Nuwwarah's opponent check-called a bet of 10,200 and then checked the river. Nuwwarah opted to jam for 41,000 and his opponent tank-called with offsuit for the win. "I think this is a spot where I'm perceived to have less value than I actually have," Nuwwarah explains. "I think checking back K-K, A-A is fine here since you should be checking back your big-card air balls often. Tighter players won't hit this flop as much as you think anyway. On my river shove, I think I'd feel comfortable shoving K-Q+ for value. Certainly I'd shove A-K."
This weekend Nuwwarah will be playing the WSOPC Horseshoe Council Bluffs $1,700 Main Event while I'll travel to Milwaukee, Wisconsin to fire a bullet or two in the MSPT Potawatomi $1,100 Main Event. Rest assured I'll be implementing some of Nuwwarah's suggestions, namely cutting back on the flats and upping my aggression.